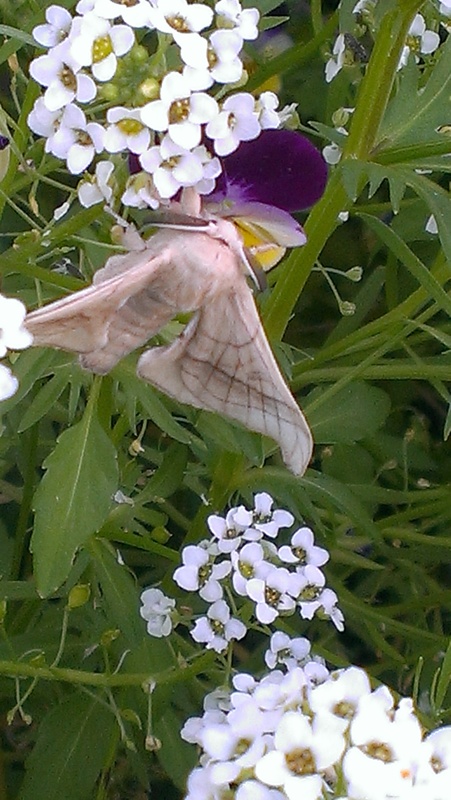 So many moths! 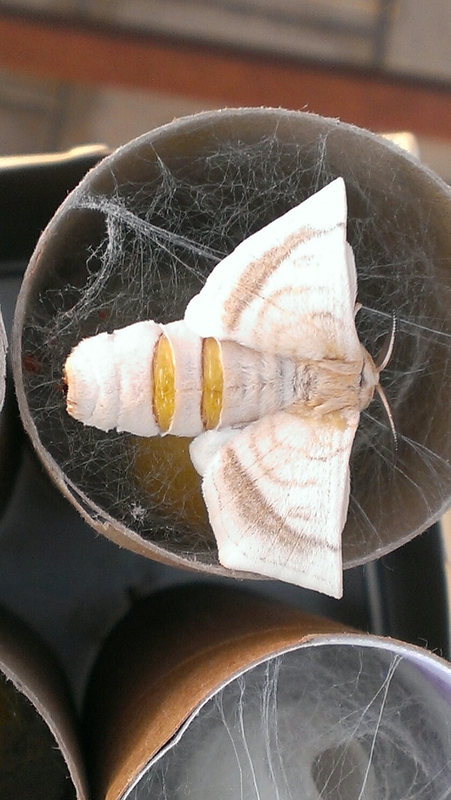 I spent time at wormspit and learned this one is female, with yellow eggs visible through her skin. 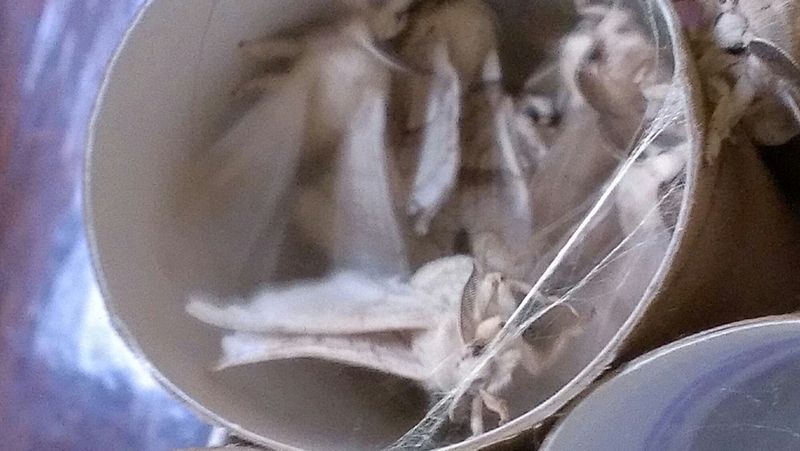 Last night the four friends at our house considered whether the silk moths should stay indoors or be released in the garden, where they can have sunlight, air and plants but may become someone else’s dinner. The garden won. 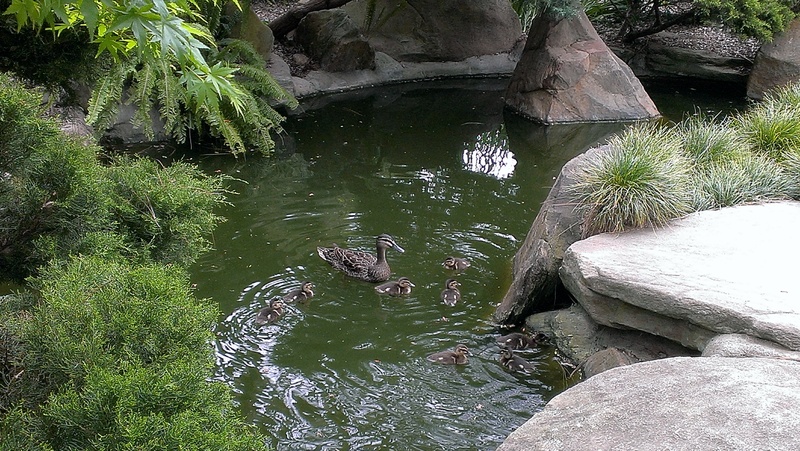 For the rest of their short lives, when they will not even eat… They will be in the garden. 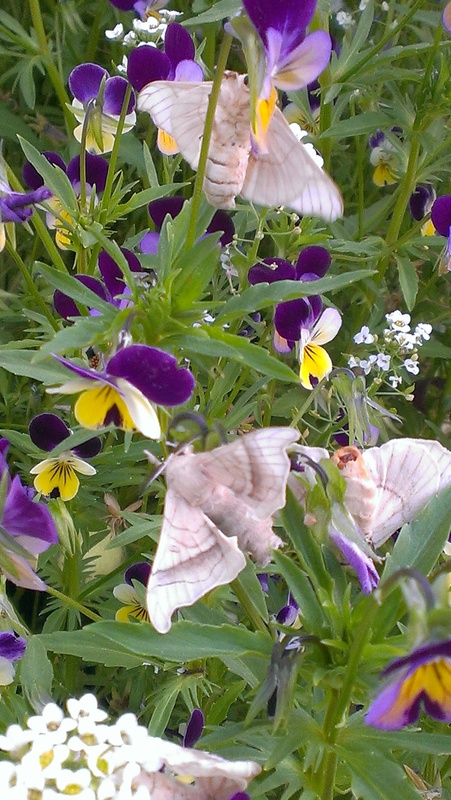 We sat awhile appreciating their beauty and fragility. It has been a week of illness in our household, so this is a late update. 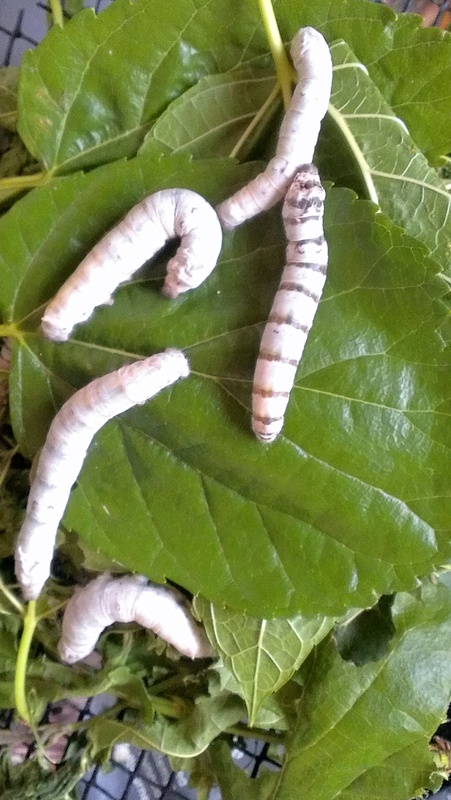 As I write this morning, there is just one silkworm left munching. 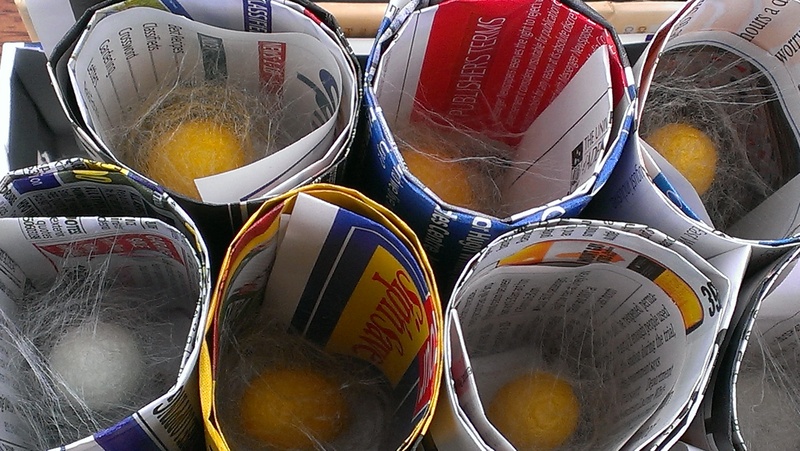 The rest are safely cocooned or in the process of creating cocoons. On Tuesday, there were only a few more. 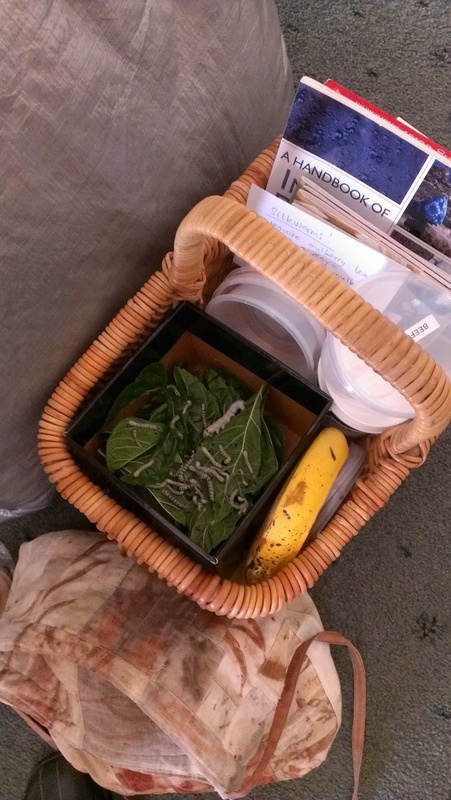 Mercifully, a friend at the Guild gave me a bag of mulberry leaves last week–bless her generous heart. 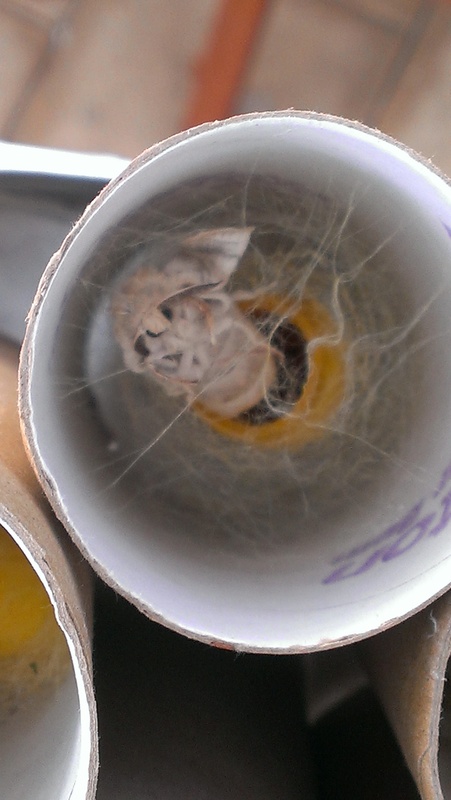 I can confirm that I don’t know why some cocoons are golden yellow and some are cool white. 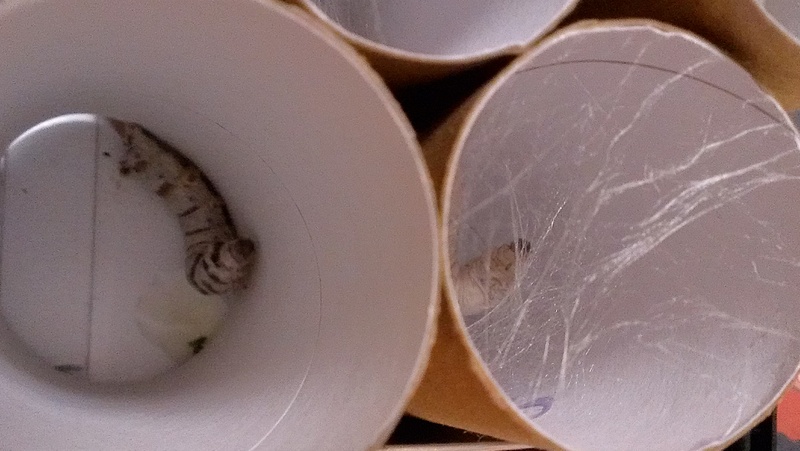 I marked their tubes as they went in during the last week, and there is no obvious relationship between the cream silkworms on the one hand and the stripy ones on the other–and cocoon colour. 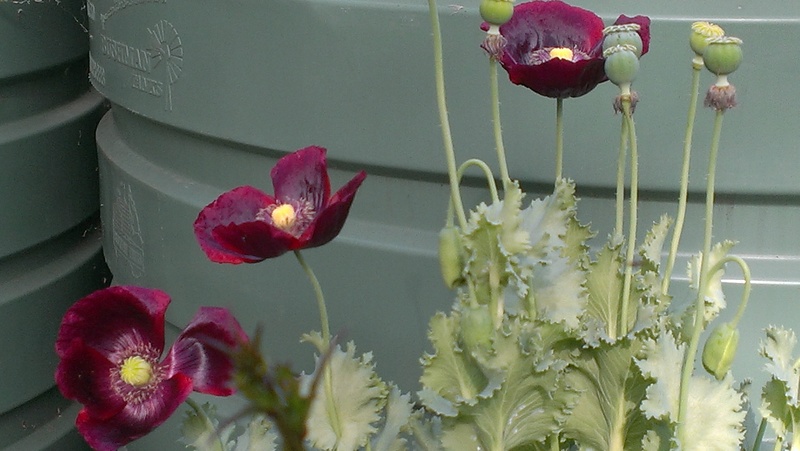 Meanwhile, the garden is a riot of green vegetables and herbs running to seed (chicory, lettuce, kale, dill and parsley) and flowers. 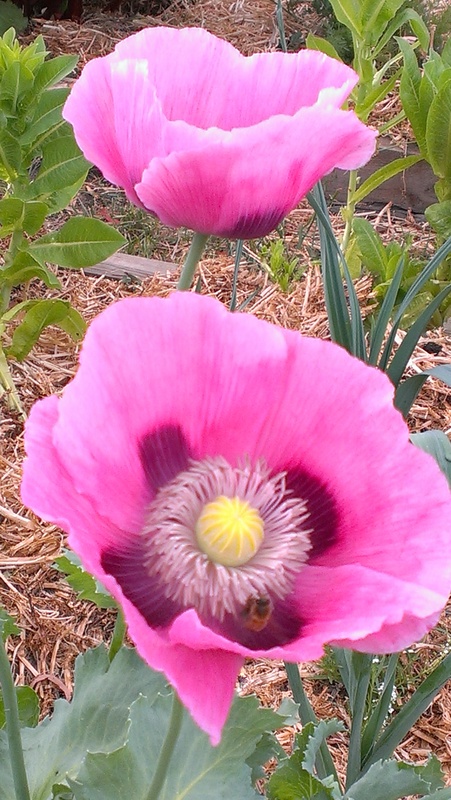 There are at least three varieties of poppy blooming, and bees rolling around gleefully in the bowl of the larger flowers. 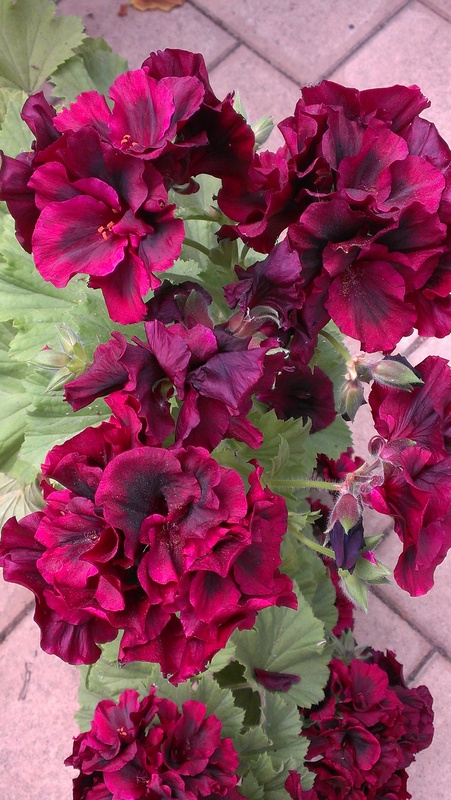 The pelargonium is even more glorious than last year, too and some of the iris tubers I bought at the Guild turn out to be deep purple (I thought they were all yellow)… so my thoughts are turning to more preservation dyeing. Petal collecting has commenced! Oh. My. Goodness. Pampering these no-longer-so-little pets multiple times a day as they munch through their leaves is a little on the dull side 7 weeks in. Happily, there are less mouths to feed every day now. 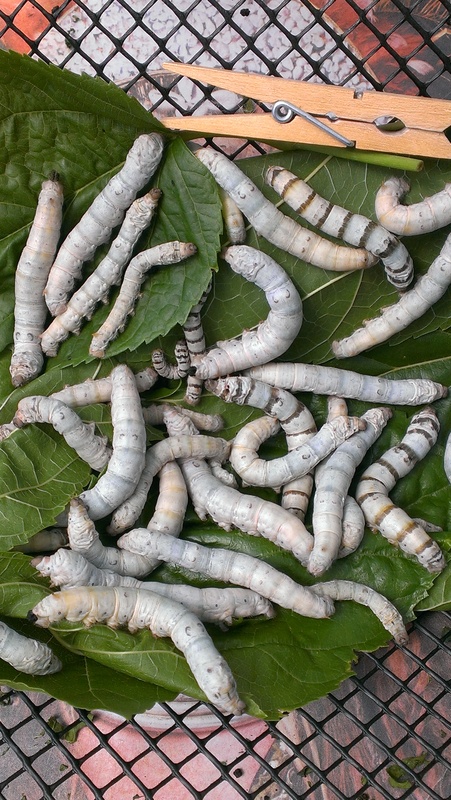 The picture above shows all remaining silkworms. The big ones are seriously big! 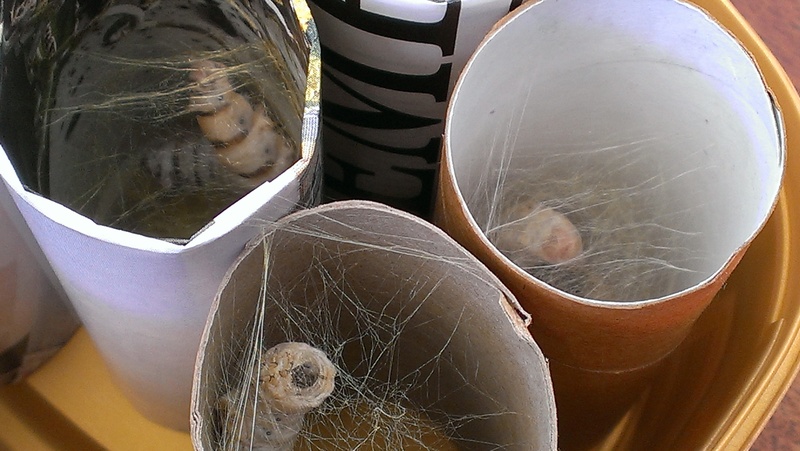 Some are still creating their cocoons. It is fascinating watching them start from the outside and gradually vanish into a home of their own making. 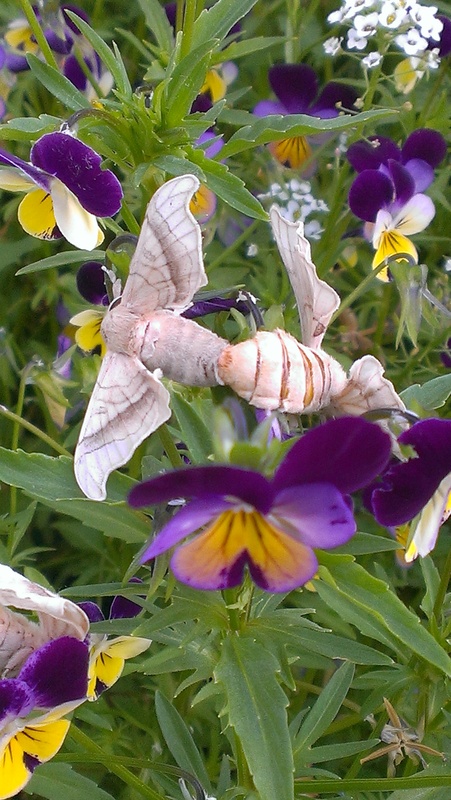 Some have finished the job and the cocoons are the same mix of yellow and white as last year for no discernible reason. 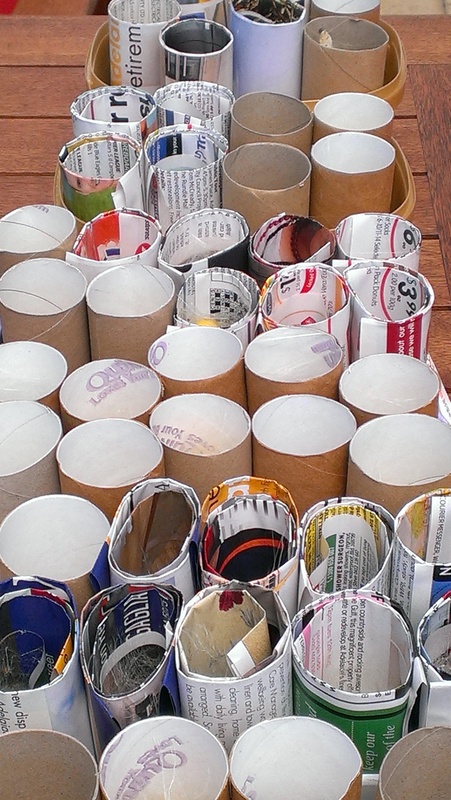 And… there are quite a few! 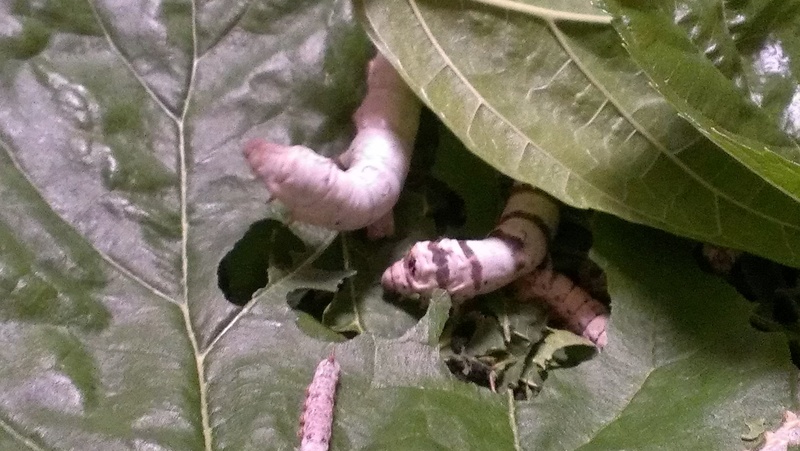 The silkworms are getting sooo big! A few of them have gone to silk already. Others are working on it. Meanwhile. 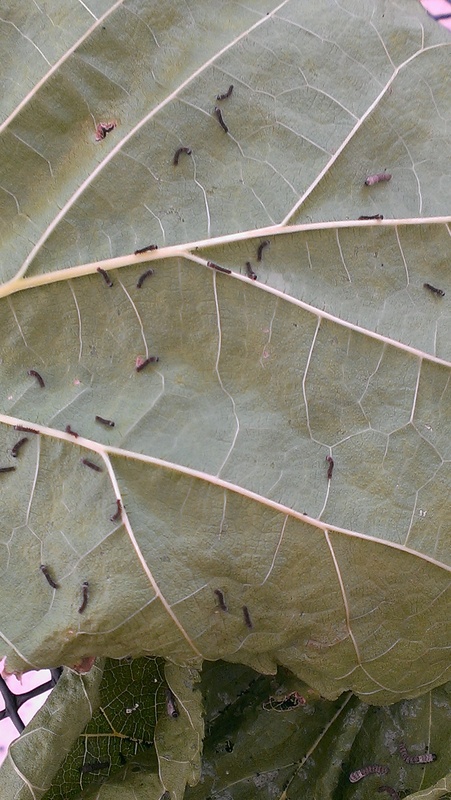 the search for mulberry leaves continues. We went to the Himeji gardens yesterday but the mulberry trees were not fully in leaf. On the other hand, the gardens were beautiful even on an overcast day. In the end we made a trip to a nearby crash repairer where there is an immense mulberry tree hanging over a fence and dropping fruit… so I got some mulberries as well as plenty of leaves no one will miss. 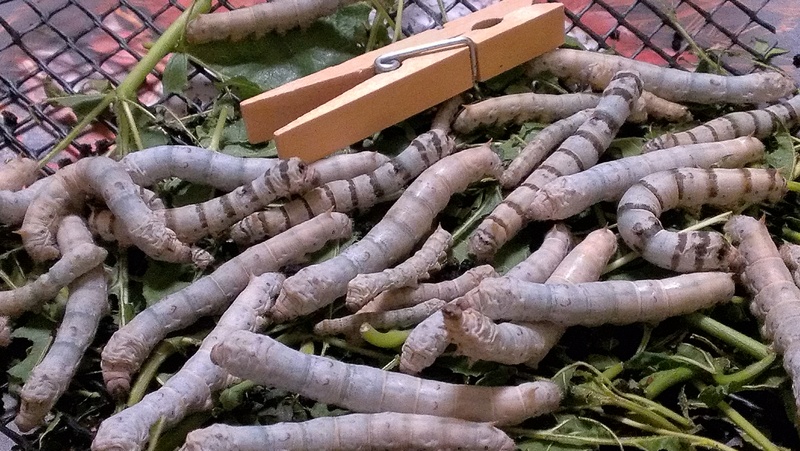 It has been a big week for the silkworms. The stage of audible munching has been reached. I come out in the morning and there is just about no leaf left. 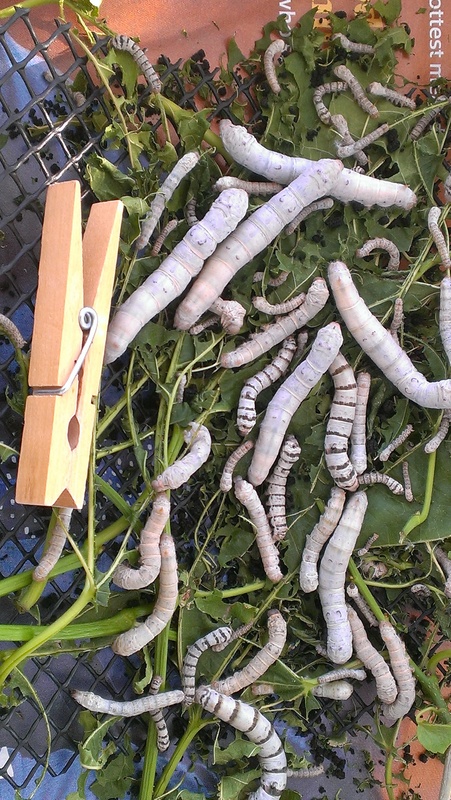 I now have 3 trays of silkworms. Minutes after I add more leaves, holes appear and heads poke through them. keeping up the supply is a big job. Meanwhile, the critter action in our backyard ramped up to a swarm of bees, hanging from a metal arch with a rose bush on it. I found a friendly beekeeper who agreed to come and collect them. I didn’t realise I would be a participant. He took pity on me and lent me a cover for my head and face and upper body. He was wearing shorts and a t shirt! I shook the archway and he held up a box and caught the swarm as it dropped in. They seem to have settled in. Here they are heading in and out in the morning sun. 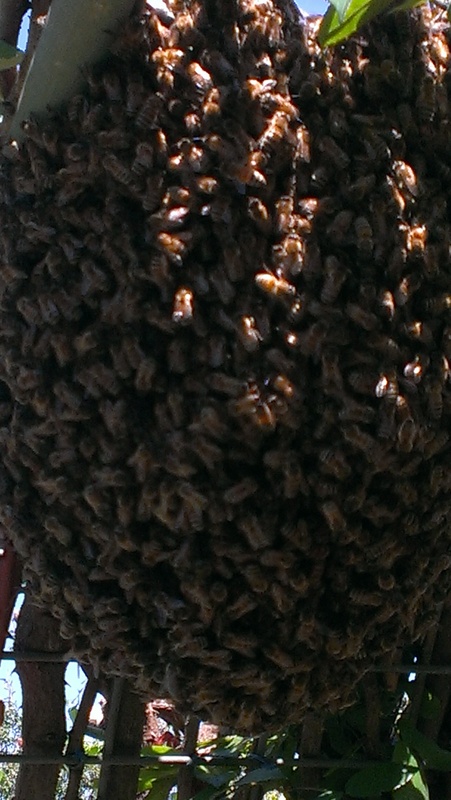 The beekeeper noticed a second swarm in next door’s tree. We hoped they might be two parts of the same swarm, but apparently not. 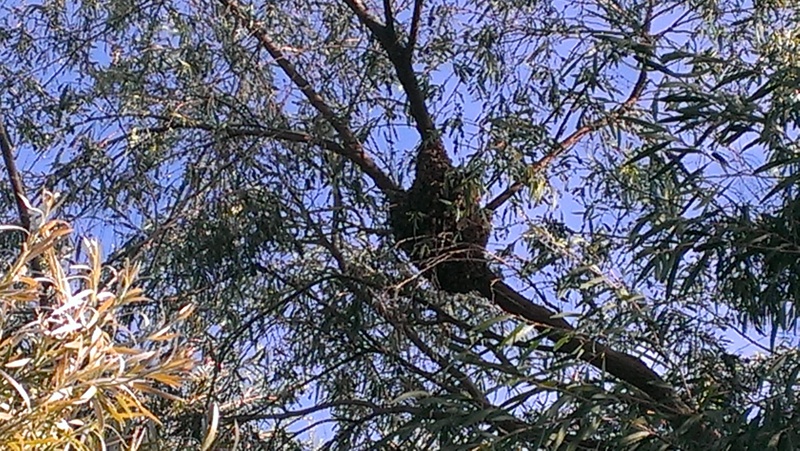 That koala shaped blob silhouetted against the sky is a mass of bees to high to reach. They might be with us for some time to come. 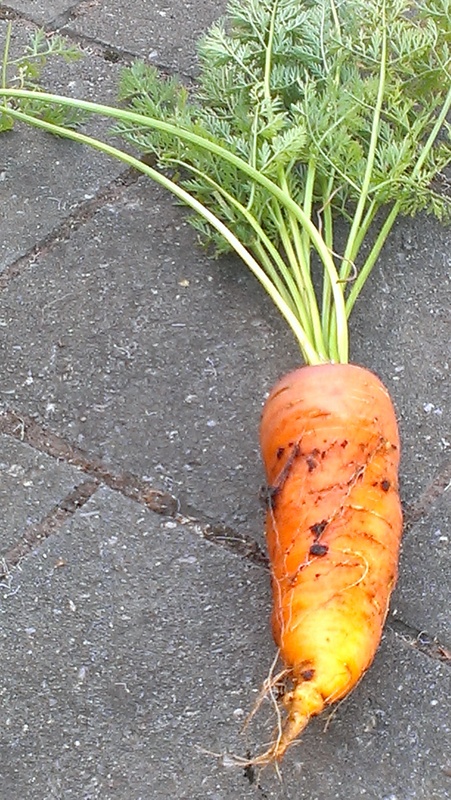 Meanwhile in backyard news, the biggest carrot ever grown at our place. I guess I still think of myself as someone who does not grow carrots, and forgot to check on them. 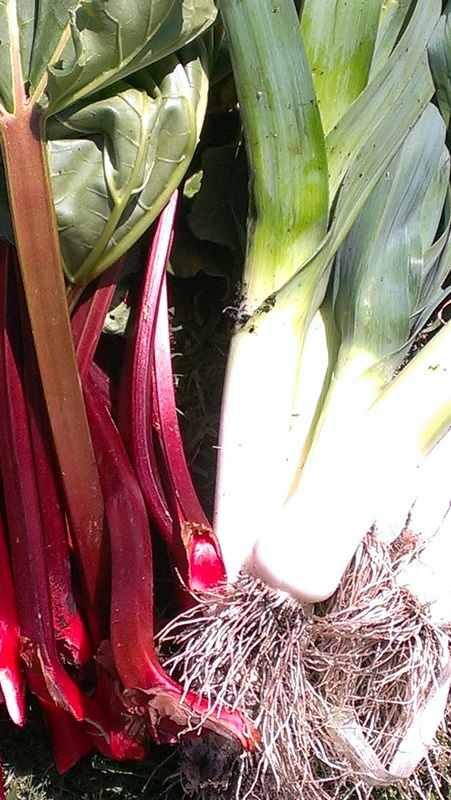 And the leeks and rhubarb are in. 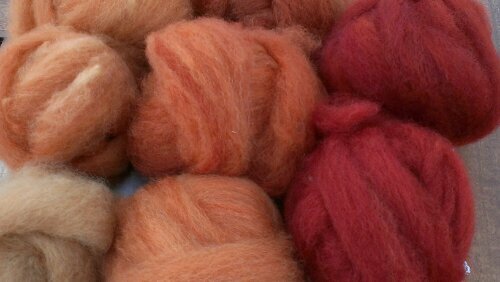 Rhubarb with ginger and vanilla and orange this week. Mmmm. 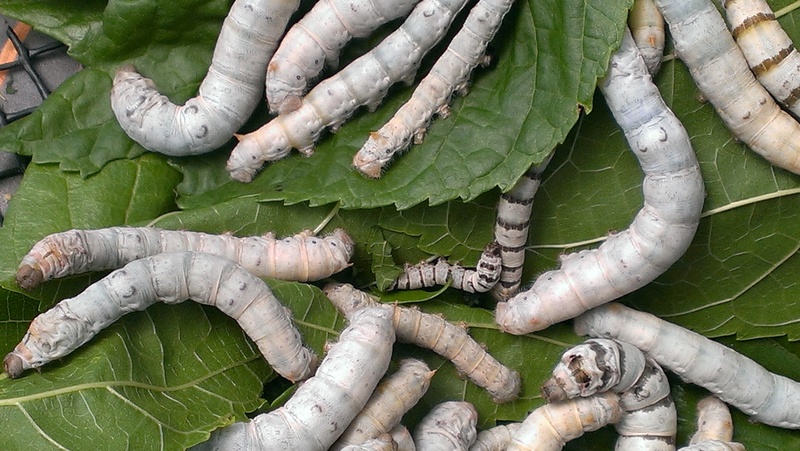 The silkworms are still hatching. In considerable numbers. I don’t have it in me to make this an exciting photo essay, though! If your eyesight is keen, you will see some have already morphed into the next stage of their lives. See the larger one that is grey with a cream coloured head instead of looking like a tiny black ant? Its at about 7 or 8 o’clock in the image below. Did I mention the tiny factor? 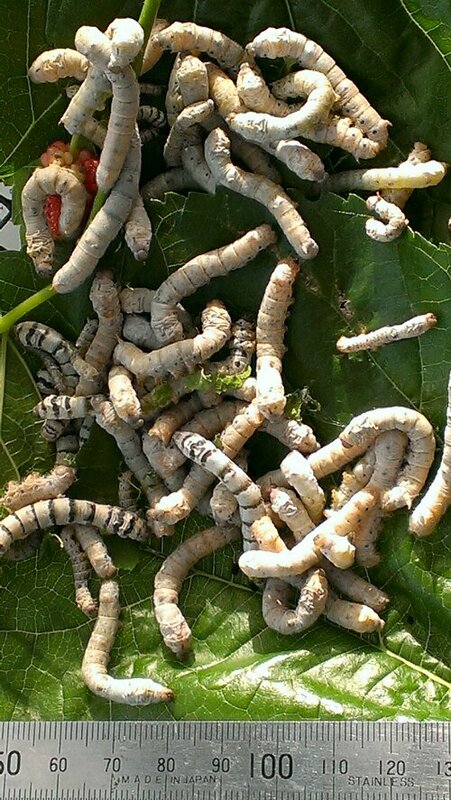 In sad news of the week (which has been all about more and more silkworms otherwise), I have discovered that very few mulberry trees are in leaf locally. One in my neighbourhood, to be exact, on this first day of spring. The weeping mulberries are showing no signs of green. The black mulberries in the park lands (which I made a special bike detour to visit in hope) are leafless. So there is just one white mulberry supporting my growing brood so far. 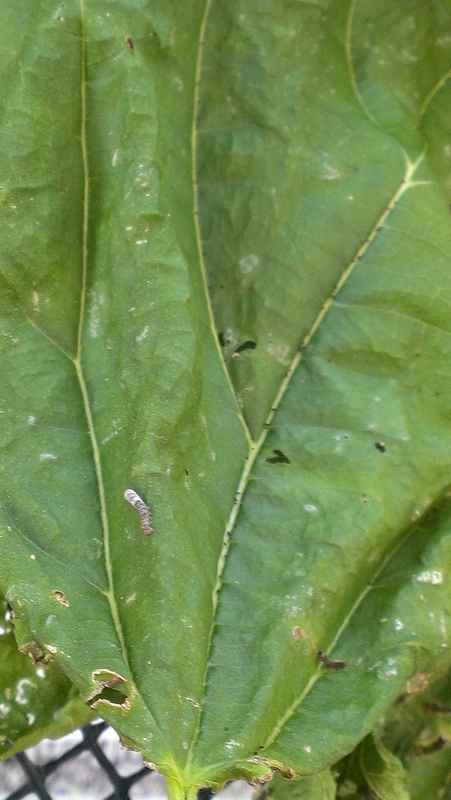 Luckily, those micro-maws don’t consume a lot of leaf each day… yet! The silkworm marathon continues. This week, there has been a hiatus in the relentless chewing while they prepare to shed their skins and move on to a still larger stage of life. 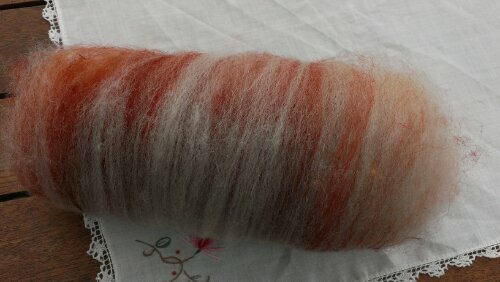 And creating another trash batt from the carder waste and some polwarth locks.